The first method of extraction occurs when bleached and deodorized copra (dried coconut meat) is pressed mechanically. The second method extracts coconut oil from unprocessed coconut cream by emulsion. You can use coconut oil as carrier oil for essential oils by mixing 1 Tbsp. of coconut oil with 4 drops of your favorite essential oil. Due to the thickness of organic coconut oil, it makes a great base for lip gloss, body cream, and face masks. You can also dilute your essential oil blend with fractionated coconut oil, which has some of the fatty acids removed to make it thinner, and remain a liquid.2 This liquid carrier oil works well as a massage oil, face wash, and shampoo. To learn more about how to use coconut oil for hair, or as a coconut carrier oil in hair care, read on below. For a coconut oil hair treatment that will add a layer of protection to your hair, and prevent further damage, try a coconut oil hair mask. In a small mixing bowl, combine 3 Tbsp. organic virgin coconut oil, 3 drops lavender essential oil, 3 drops chamomile essential oil, mix well and apply to dry or towel dried hair. Massage into the scalp and along hair strands. Gather hair on top of your head and cover in a shower cap. As coconut oil sits on your hair and scalp, the heat from your body will cause it to liquefy, giving it a greater range of coverage. To remove the mask, combine 2 Tbsp. white vinegar with one cup of warm water before the rinsing process begins. Rinse hair in warm water until most of the coconut oil is removed, then apply your vinegar rinse to ensure that your hair won’t feel too oily when dried and styled. 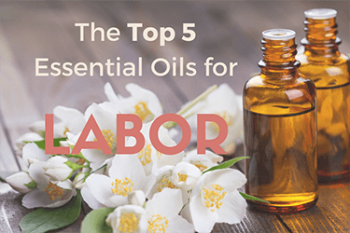 This recipe used lavender essential oil and chamomile essential oil for their soothing properties and mild smells, but you can choose your own essential oils based on preference of scent. Due to coconut oil’s ability to deeply penetrate the hair shaft, and its mildness on the scalp, mixing coconut oil and essential oils for hair growth has the potential to maximize results. Some common essential oils for natural hair growth treatments at home include, thyme essential oil, cedarwood essential oil, lavender essential oil, and rosemary essential oil. In a 1998 study, researchers applied a mixture of these four essential oils to the scalps of 43 participants, all diagnosed with alopecia. A control group of 41 volunteers, also diagnosed with alopecia, used a mix of only grapeseed oil and jojoba oil. To create your own hair growth formula at home, try the hair mask recipe above, with a few minor changes. Combine 4 Tbsp. coconut oil, 2 drops thyme essential oil, 2 drops lavender essential oil, 2 drops rosemary essential oil, 2 drops cedarwood essential oil, mix well and apply to dry or towel dried hair. Leave on for 30 minutes and rinse as previously instructed. This mask can be used up to twice a week. Coconut oil not only penetrates the hair on your head, but the hair on your face as well, making it a great natural beard oil. You can individualize your beard oil blend by adding your favorite masculine essential oils. Combine the moisturizing properties of frankincense essential oil with sweet aroma of orange essential oil for a added punch of zesty citrus. To make the perfect beard oil blend, combine 1 Tbsp. fractionated coconut oil with 2 drops frankincense essential oil, 2 drops orange essential oil, mix well, and apply sparingly with clean dry fingertips. You can also brush some of your beard oil onto a beard comb, and comb it through your beard. To harness the natural protein protection of coconut oil on your hair, you can make your own shampoo at home. In a clean shampoo bottle, mix ¾ cup of water, ½ cup castile soap, 2 Tbsp. pure coconut oil, 2 Tbsp. fractionated coconut oil, and 10 drops of your favorite essential oil, such as peppermint essential oil or sandalwood essential oil. Coconut oil for stretch marks is a common treatment used by pregnant women, and individuals who have gained or lost large amounts of weight over a short time. Coconut oil is found in some commercial stretch mark products around the world, and may help speed the fading of stretch marks. These same skin benefits can be applied to the healing of stretch marks, by massaging pure coconut oil into the affected skin area daily. Coconut oil for acne is a natural solution, which moisturizes as it treats the skin. The best way to use this method of acne management is by washing face with coconut oil and an antibacterial essential oil blend. One of the most useful essential oils for acne is peppermint essential oil, which effectively inhibits the progression of several strains of bacteria, including those that cause pimples. The toning and antibacterial qualities of lemon essential oil make it another useful essential oil for acne. You can create your own acne face wash by mixing 1 cup coconut oil, 1 Tbsp. baking soda, 10 drops lemon essential oil, 5 drops peppermint essential oil, and mixing well. This cleanser can be stored in a sealable glass jar, and used every second day. 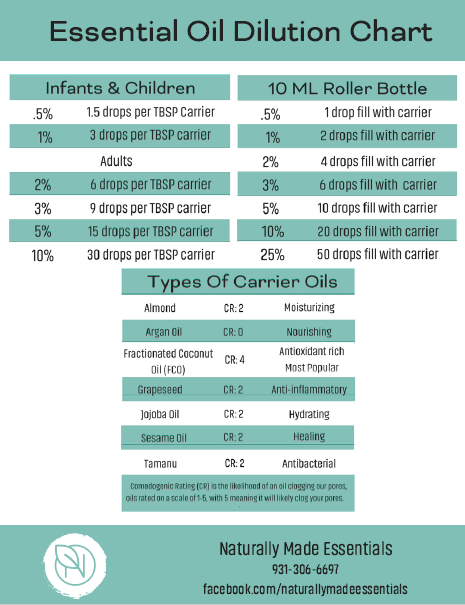 Using carrier oils for skin is a great alternative to expensive face masks, and allows you to customize with various essential oils, according to your skin type. To create your own acne controlling coconut oil face mask at home, combine 1 Tbsp. coconut oil, 3 Tbsp. oatmeal, 3 drops peppermint essential oil, and 1 Tsp. warm water. Mix until the mask looks like a paste. Apply to your face, careful to avoid lips and eyes. Leave mask on for 15-minutes, rinse off with cool water, and pat face dry with a towel. This treatment can be used up to twice a week. Using coconut oil for sunburn may be helpful due to its ability to penetrate the skin and provide a collagen and moisture boost.10 You can increase the level of sunburn relief by adding essential oils to your coconut oil application. For example, chamomile essential oil has anti-inflammatory properties which can counter the effects of sun damage to the skin, and reduce swelling and redness. To treat a sunburn at home, mix 2 Tbsp. fractionated coconut oil, 1 Tsp. liquid aloe juice, and 4 drops chamomile essential oil. You can double or triple this batch depending on the size of the burned surface area. Apply with a cotton swab, or use in a clean spray bottle for easy application. Coconut oil makes a safe and natural alternative to commercial brand deodorants, especially when mixed with antibacterial essential oils. In 2006, lemongrass essential oil’s properties were tested against 6 strains of bacteria to determine its antibacterial properties. To make your own deodorant, mix ¼ cup arrowroot starch, ¼ cup baking soda to a small mixing bowl and blend well. Mash in 6 Tbsp. coconut oil, and 8 drops lemongrass essential oil. This mixture can be stored in a clean sealable glass jar, or a recycled deodorant application tube for later use. Apply as you normally would, smearing only a thin coat under the arms as needed. For users looking to buy coconut oil intended to be used as a carrier, Essential Oil Experts recommends purchasing from vendors who specialize in essential oil and carrier oil products. Previously, high quality, pure carrier oils could only be purchased through specialty health stores. Now, due to advancements in technology, users can easily purchase top quality carrier oils over the internet at extremely affordable prices.